You're taking a leak and before you know it, your stream is trailing across your shoes and backsplashing your jeans. Here's the solution to your problems! Happy International Men's Day! Happy also World Toilet Day! "Men Do Not Really Have Control Over Their Free-Flowing Urine At All." "A man does not really have control over the free flowing urine at all. What I mean is: he stands there, tally-whacker in hand pointed at the toilet, and: pee shoots out sideways." That splash is due to a fluid dynamics term called the Rayleigh Instability. Basically your stream loses power about 6 inches from the urethra, scattering your spray into messy droplets. "We've all been in disgusting toilets with puddles on the floor - these places are a breeding ground for bacteria," researcher Dr. Tadd Truscott, professor of mechanical engineering at Brigham Young University, told the BBC. Four physicists at Brigham Young University thought it would be interesting to study the uniquely male problem of “backsplash.” They found that when standing at a urinal, the more horizontal the stream the more splash. After your pee travels so far in the air, that straight blast starts to break up into droplets. These beads of water cause more splatter than a steady flow because they generate “splash crowns” when they hit a surface, which produce small drips that rain upon you, says study author Tadd Truscott, Ph.D.
Men's bathroom at Sao Joao da Madeira shopping center in the Northern part of Portugal. Your point of attack is critical. Aim your pee stream closer to the sides of the urinal at a downward slant, and you decrease the “impact angle.” (Check out this mesmerizing video to see it in action.) It’s like keeping the foam out of your beer: Pour it down the side of the glass instead of straight in. Competitors taking part in the Wife Carrying World Championship competition in Finland. 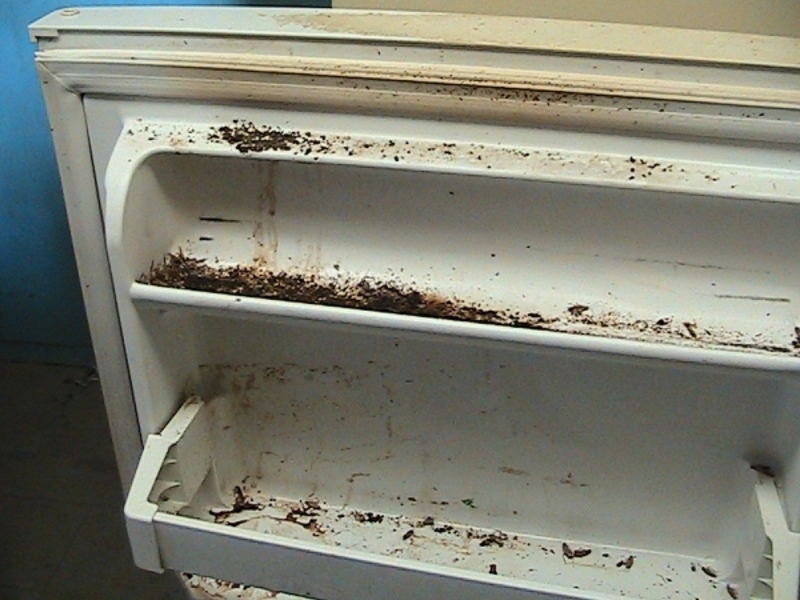 An illustration of a maggot-infested refrigerator.